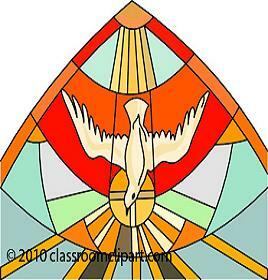 Our life of faith in the Catholic Church begins in Baptism and matures through Confirmation. The importance of these sacraments has been recognized throughout the centuries, however, the understanding of their importance has faded. Rather than understanding that Baptism is the introduction and initiation of our faith life which needs to be nourished and practiced throughout our lives, many stress the importance of Baptism as opening the gates of heaven for the baptized person when they die. Rather than understanding Confirmation as the recognition of a faith-life that was received at Baptism and has been cultivated to maturity since then and now is ready to make a mature commitment to live this faith-life throughout adulthood, many stress the importance of Confirmation as the last step in formal religious education which provides the person with the opportunity to be married in the Catholic Church. In order to address the prevalent misunderstanding of Baptism and Confirmation, here at St. Ann’s we insist that new parents attend an instruction class before their child is baptized and that confirmation candidates participate in a 2-year preparation program. In today’s world we face many challenges to our life of faith. Recently, Pope Francis highlighted some of these contemporary challenges and asked us to return to the foundation of faith in building our morals and lifestyles. Pope Francis recognizes the faith challenges that we face today and offers some direction and advice. a problem which we, as Christians, need to confront. We need to hear once more the voice of the prophets who cry out and trouble our conscience. Perhaps the two most important phrases and functions of the Godparent and Sponsor are “companion on the faith journey” and “role-model of faith” in today’s world. We all recognize that living the life of faith in today’s world is challenging and having trusted and experienced persons who can be confided in is important. That is what Godparents and Sponsors are expected to provide. The title “Godparent” at Baptism or Sponsor at Confirmation is not simply an honorary title. In the mind of the Catholic Church it is a commitment, a job description, and a responsibility. Godparents and Sponsors are, along with the person’s parents, a person’s guide on the Catholic Christian life’s journey. They will help shape the person’s faith by sharing their own. For this reason it is important that those selected to be Godparents or Sponsors are living “role models” of the Catholic faith for those being Baptized or Confirmed. To evaluate the readiness of the Godparent or Sponsor to fulfill their role and their responsibilities, the Catholic Church has established the following criteria.